I am at home among trees. Spring is such an enchanting season. The sun is warm. The grass is green. Flowers are blooming. And the trees have both blossoms and leaves. Let's visit some of those trees, shall we? 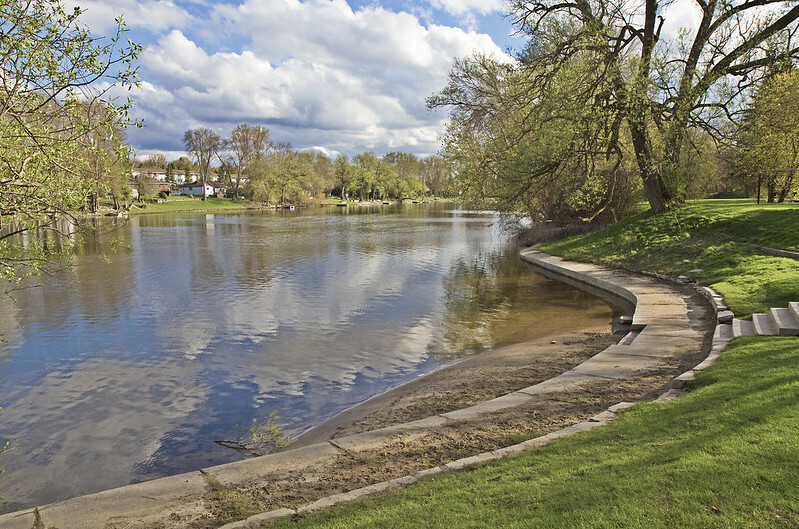 This wonderful view of the Otonabee River is just a few minutes on foot from my place. At the time of this photo, its trees were just beginning to fill out with that lovely early verdant hue which I often refer to as "virgin green." It's a short-lived period of time, but when that early or late-day sunshine hits the leaves, the colourful sight is magical. A tree is beautiful, but what's more, it has a right to life; like water, the sun and the stars, it is essential. Life on earth is inconceivable without trees. See what I mean? We were getting close to sundown one evening, last week. There were a large number of photographers out by Little Lake and I soon learned that a camera club had selected this location for their outing. They chose a good place and time as lots was happening in and around the waters but that will appear in another post. 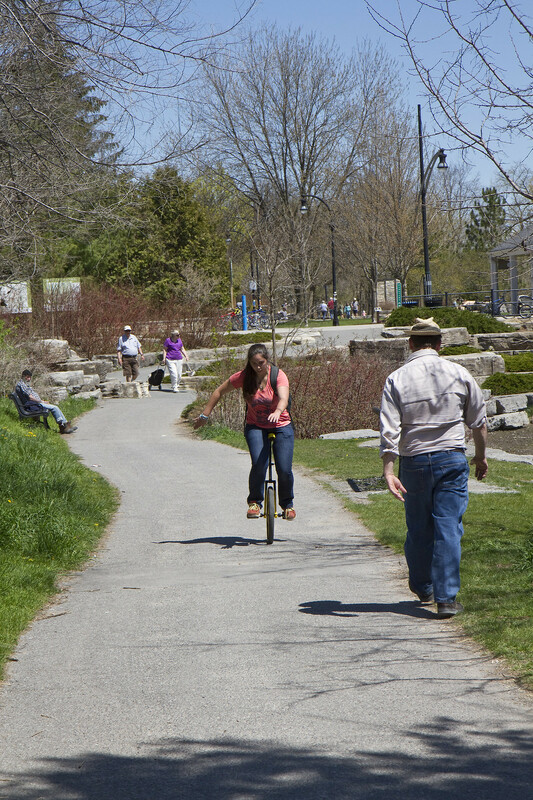 Back in April, I headed back to my old haunts in Mississauga for a few days. 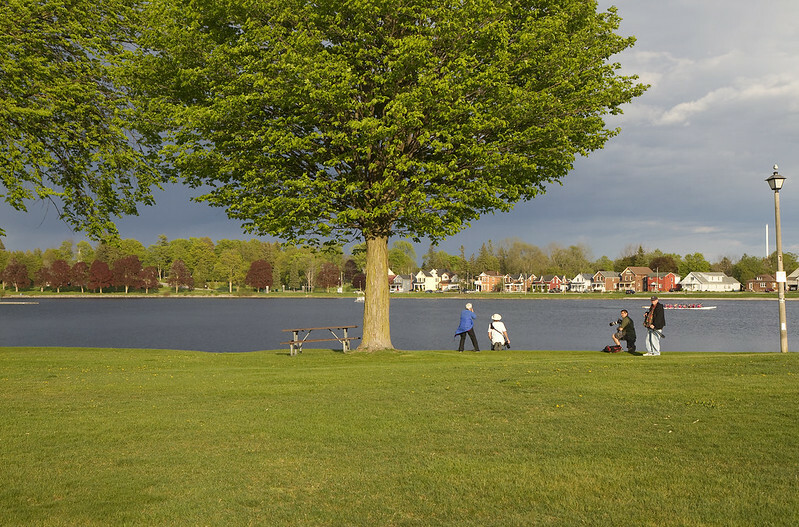 While visiting with my past neighbours Caroline and Lloyd, we took a walk around the lake which yielded so many of my photo subjects back in the day. This tree has always been a favourite of mine. 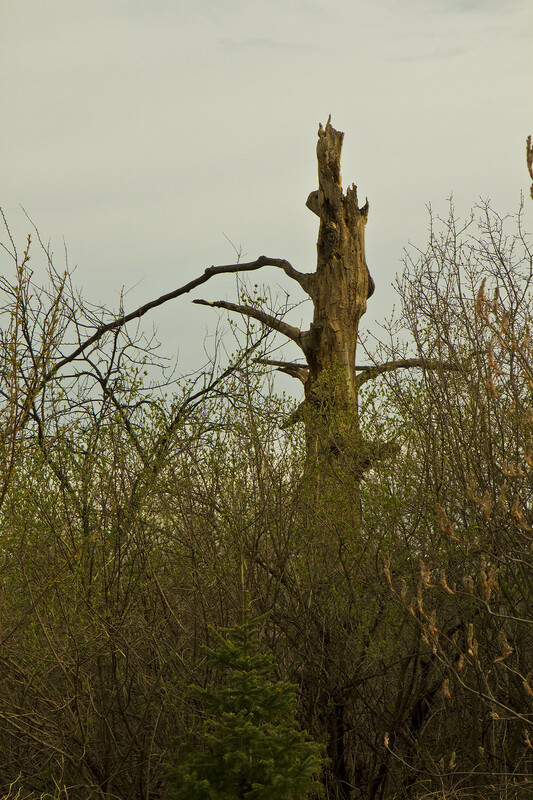 Over the years it has changed considerably as it has lost its branches but it still provides shelter for small creatures. Many a bird have dined on insects from its bark. 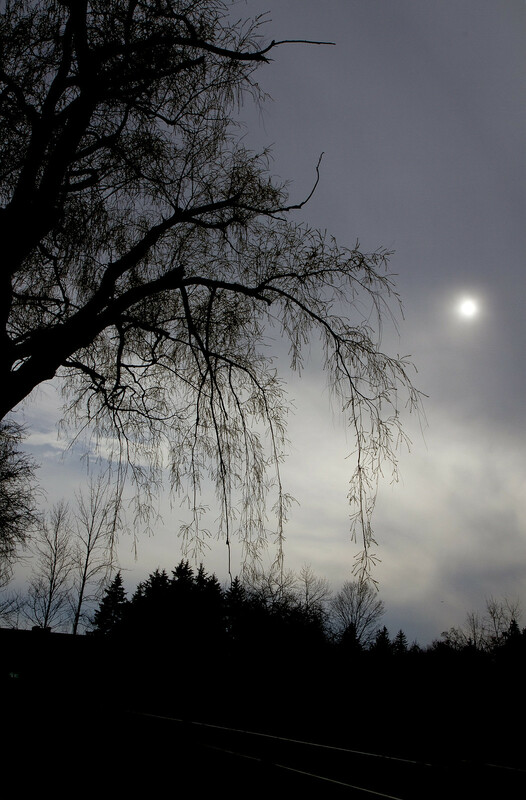 Another favourite is the weeping willow which towers over the dock. It lost a lot of its branches in an ice storm a couple of winters back but it persists as a beautiful landmark on Lake Wabukayne. 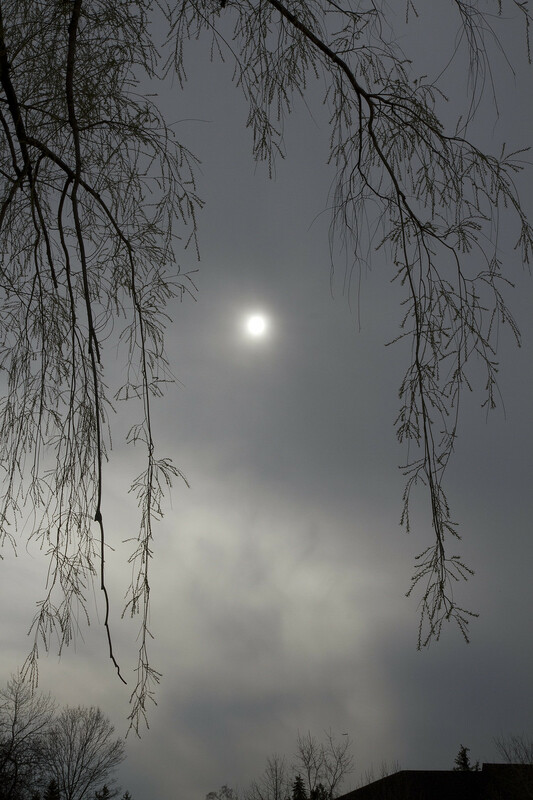 It was a hazy day and the sun was having difficulty breaking through. The newly-emerging leaves framed the hazy sun quite nicely. One last tree from that walk. 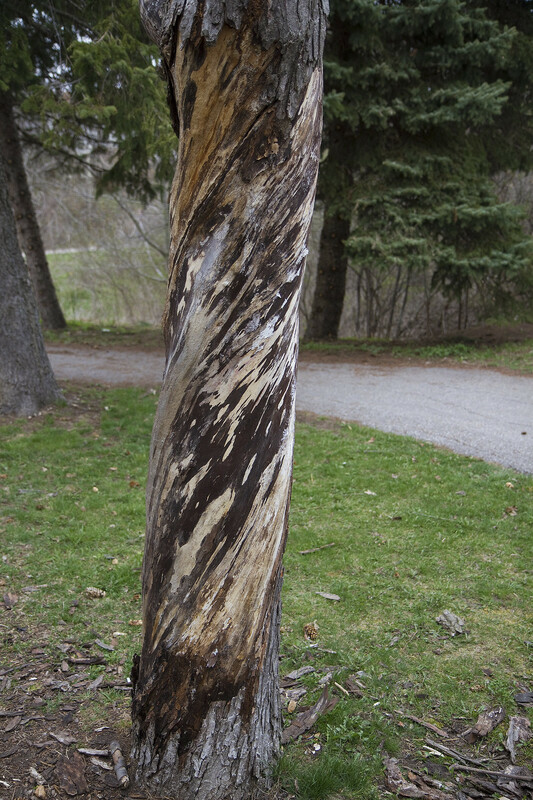 This squirrels had begun shredding the bark when I lived here. They have clearly made good work of it since I've been gone. I imagine that the bark makes for good nesting material. 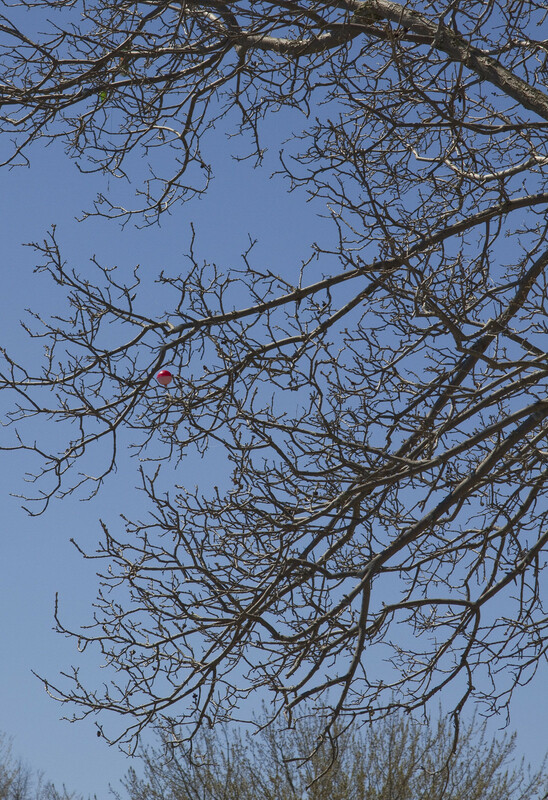 Back in Peterborough, a few weeks ago, this flash of red caught my eye from a distance. 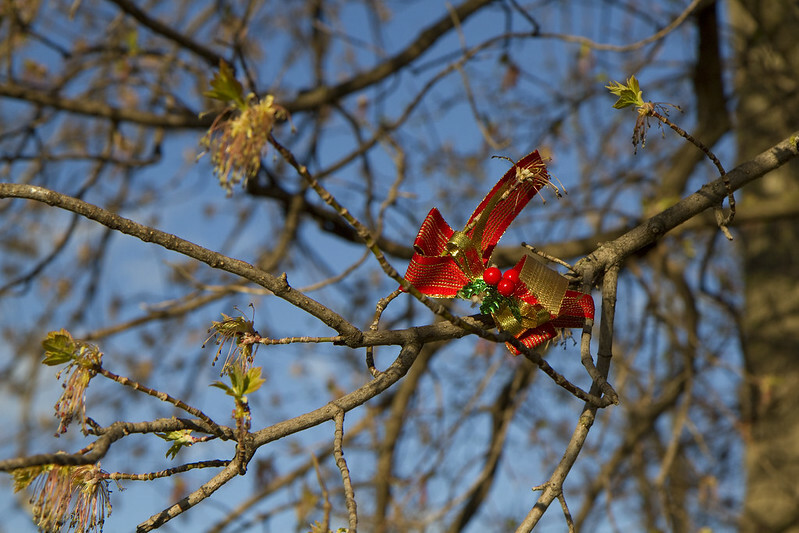 I can't say that I've ever noticed the Christmas bow up in the tree before, and now that the tree is in full leaf, it's unlikely that I will again. Although the bright bow caught my eye, the soft colours of new life caught my breath. Trees are as close to immortality as the rest of us ever come. A couple of weeks back, I saw this guy inching his way along a less-than-sturdy branch which reaches out over the water and directly above some large, jagged rocks. I could hear the branch creaking with his every movement and my heart mimicked his progression by edging its way toward my throat. Thankfully, he decided to abandon his mission. To be without trees would, in the most literal way, to be without our roots. But then his buddy took up the cause. He didn't get quite as far as the other guy before he realized it was too risky. What was their quest? The story of the tree is written on every leaf. All I could see was this but they said that there was also a forty dollar fishing lure toward the end of the branch which would have never held their weight. I'm glad they determined that their safety was worth more than the lure. So many blossoms in bloom. The colours are both soft and vibrant. 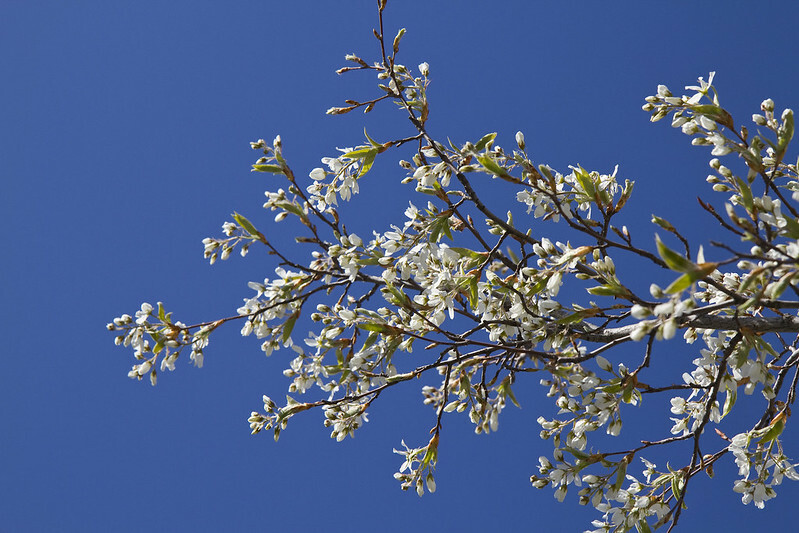 What season could possibly beat spring for beauty? Well, maybe summer. Perhaps autumn. Nah.. let's just enjoy the spring. 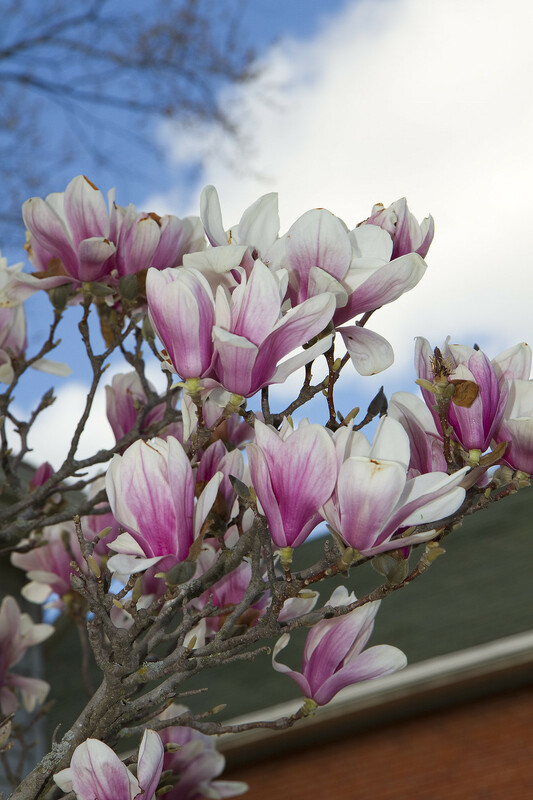 The brief blushing blossoms of the striking magnolia tree. 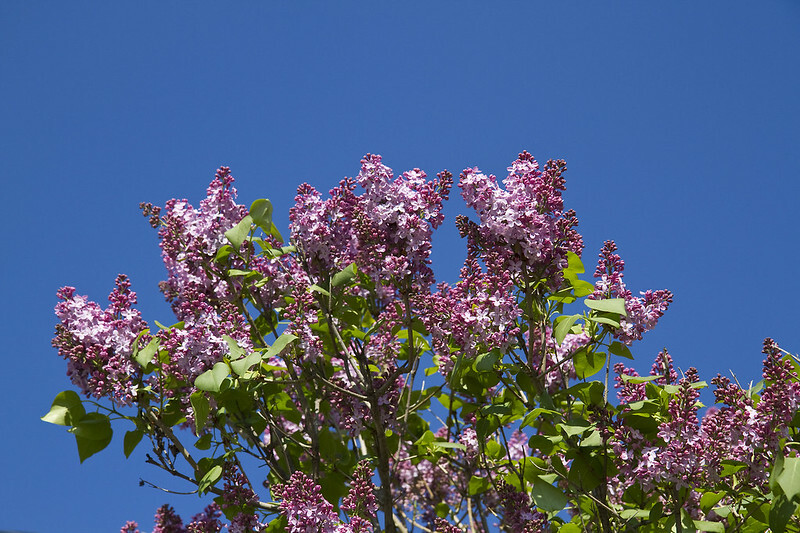 No matter how early or late our spring season begins, the lilacs always manage to be in full bloom on May 21st. I have noted this every year since 1988 on the approaching occasion of my late in-laws, June and Ken's golden anniversary. 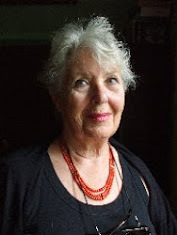 June fondly recalled how there were freshly cut lilacs on the tables at her wedding on that date, fifty years earlier. They thought we were just going out to dinner to celebrate that night but we threw a surprise party in their honour at our home. I made sure there were plenty of lilacs from our tree on the table. To this day, I think of them when those lilacs are in bloom. 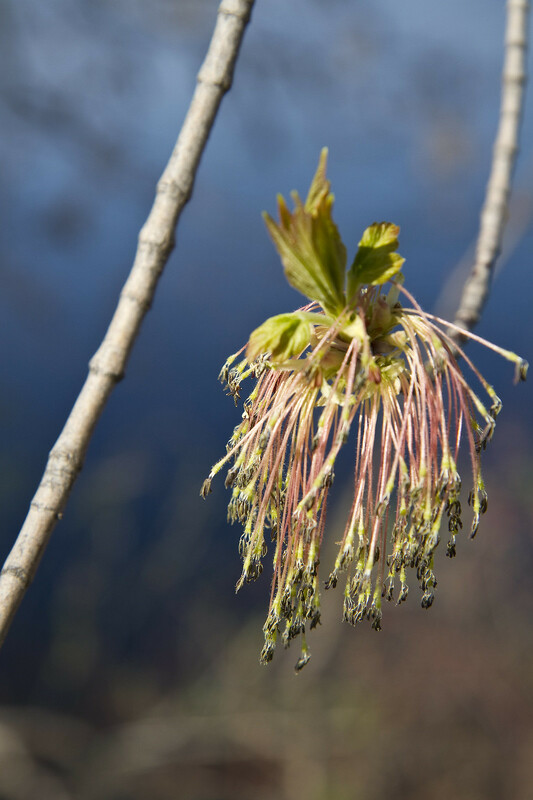 These are the russet leaves of the red maple trees as they make their first appearance in spring. 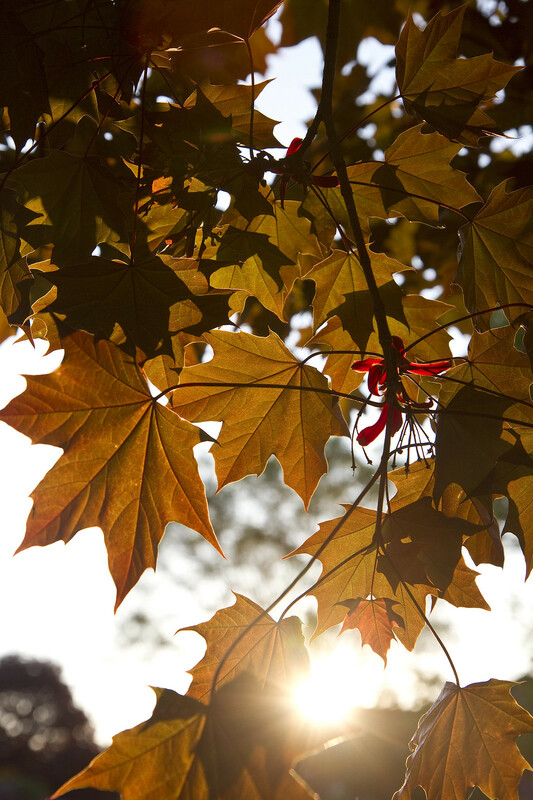 The foliage will show off its true scarlet brilliance in autumn. These backlit beauties were wind-dancing for me in the early evening. 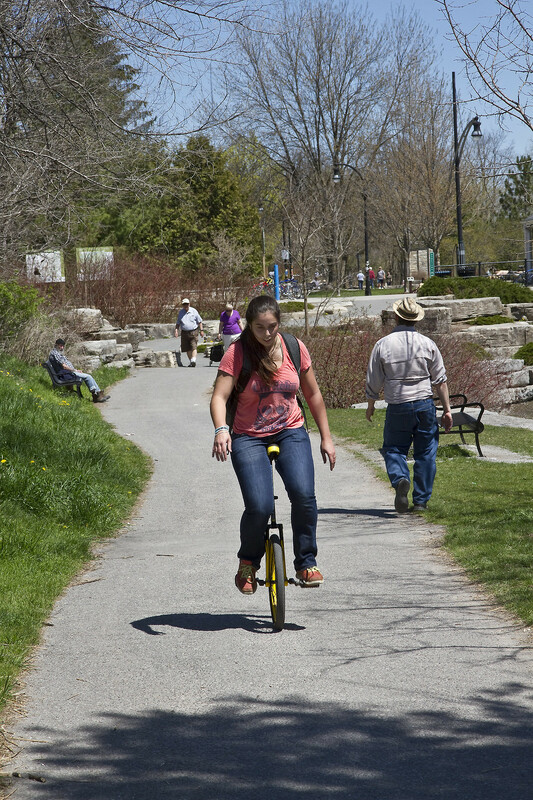 There are a series of interconnecting parks about 20 minutes away on foot. 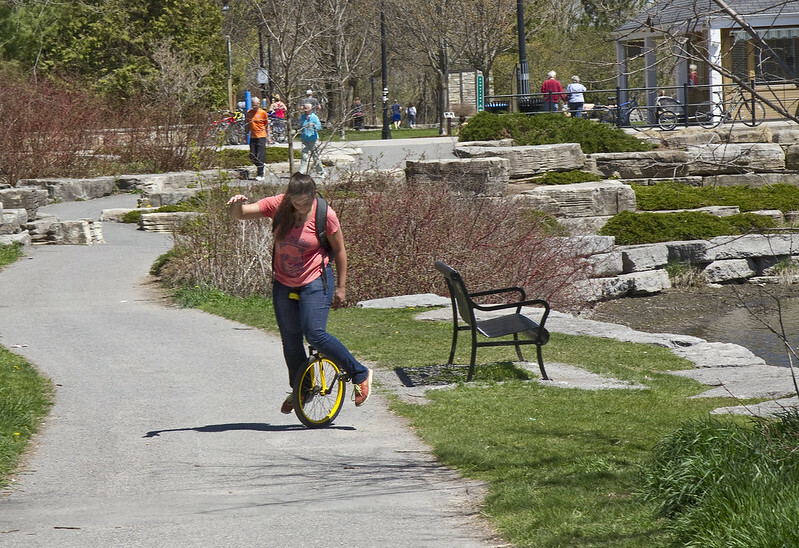 I was sitting by the water in one of the parks, just watching people come and go along the pathway. 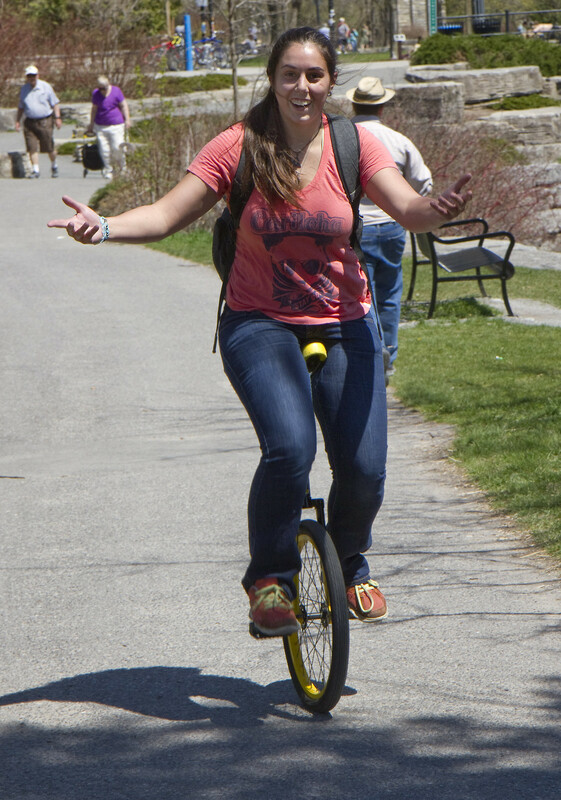 Out of the corner of my eye, I caught the somewhat awkward movement of this girl trying to say atop of her unicycle. I decided to walk ahead of her and snap some photos. Her name is Rachel. By the time I got there, she had covered a bit of ground but had since lost her balance and was having a hard time finding her groove again. 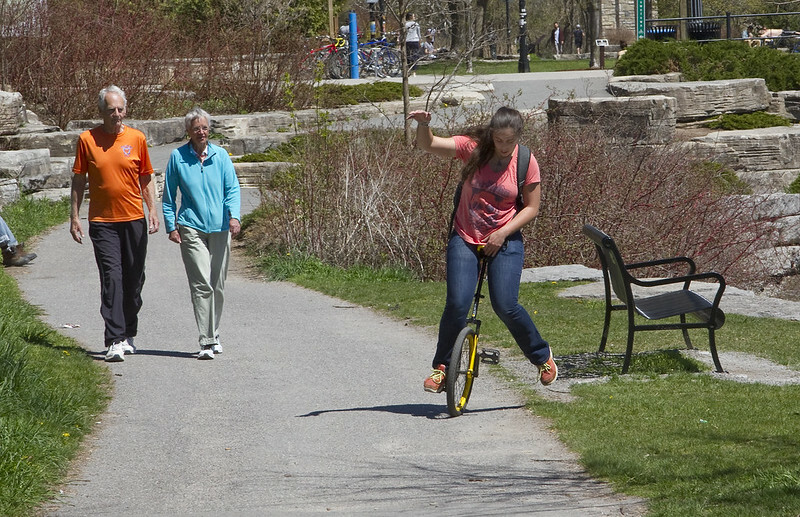 Still, it looked like she was about to get it back. 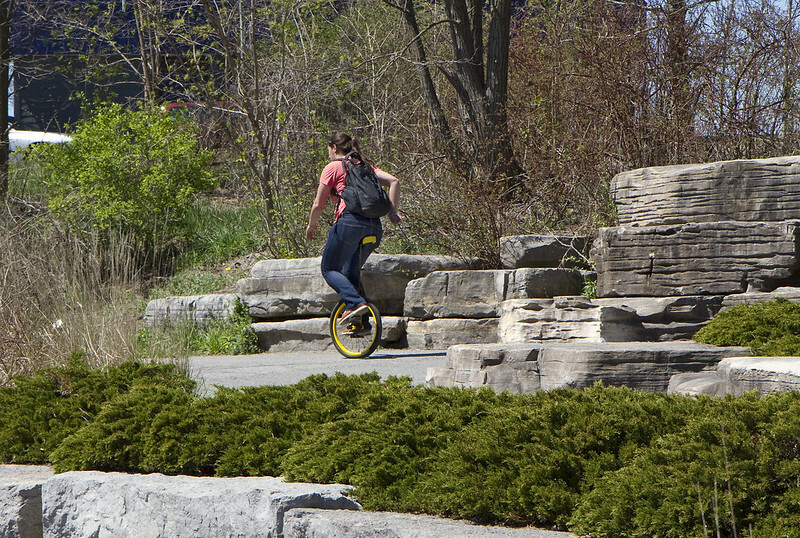 Q: Whats the difference between a hobo on a unicycle and a man in a suit on a bike? A: Attire. 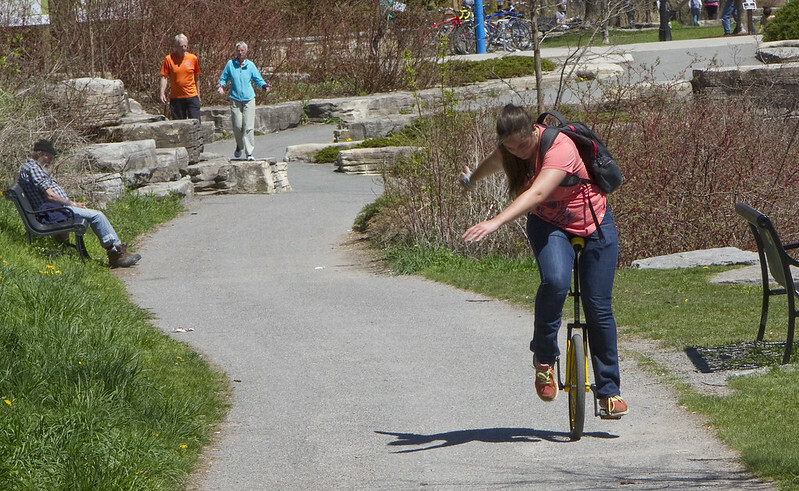 Can she regain her balance and momentum? Not this time. But she never lost her sense of humour. This time, I think she's got it. A sweet smile of success! She soon left me in her wake. 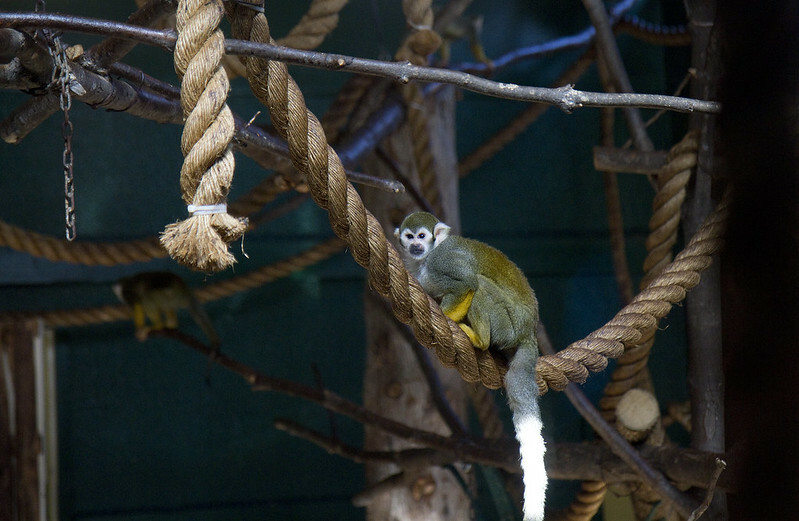 When it comes to zoos, my feelings are ambivalent. 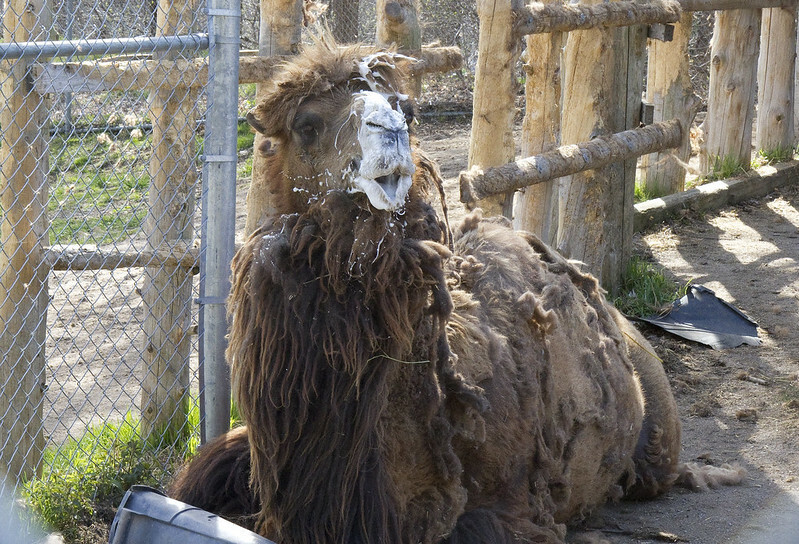 Some locations have poor reputations when it comes to animal welfare. Those are obviously avoided. Others are considered to be far more competent. 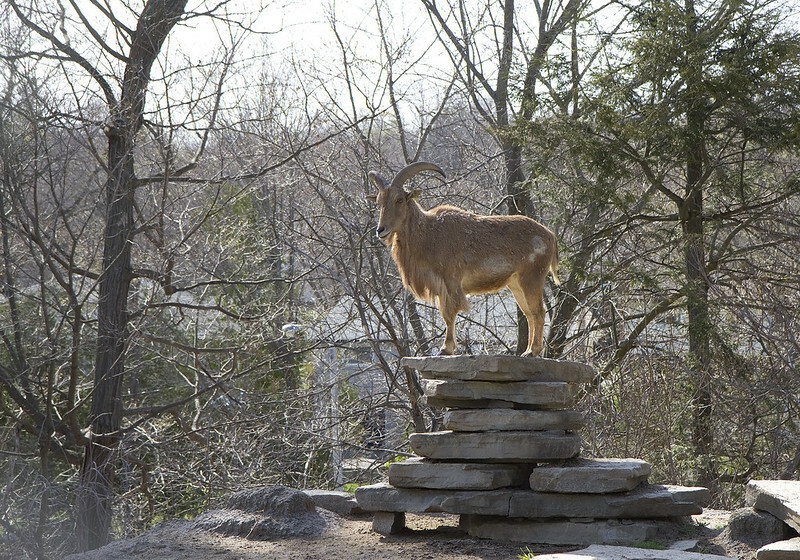 The fifty-five acre Riverview Park in Peterborough is regarded as one of the two most ethical zoos in Canada and touches on the positive aspects of zoos (research and education, captive breeding for endangered species). Still, I felt a significant degree of discomfort seeing these magnificent creatures in captivity. 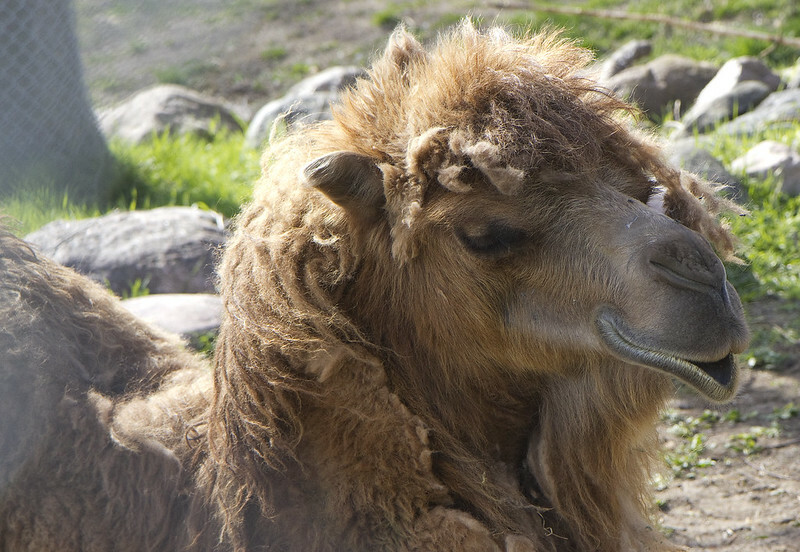 Part of me was thrilled just to see them up close-ish, knowing that for the vast majority of the visitors to this admission-free zoo, it would be the closest we'd ever get to seeing these beauties in person. The other part of me feels deeply for these animals who will never know how they were intended to live in their natural existence. All that having been said, I still opted to have a wander around this small but versatile park, one day last month. I enjoyed the day - especially the always-fine company of my good friend, Carol Anne. Aside from one lynx which was showing signs of stress by pacing, the animals seemed to be content and well cared for. Still, with a lot of thought between then and now, I have hopped off of the fence. 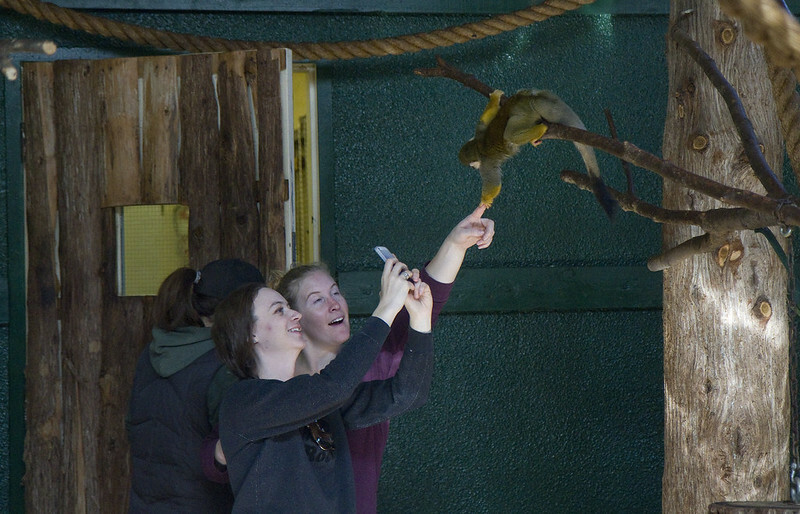 I suspect that I won't be returning to a zoo, anytime soon. For what it's worth, the following photos are from that day. and the crowd bawled wild as Barbary sheep. 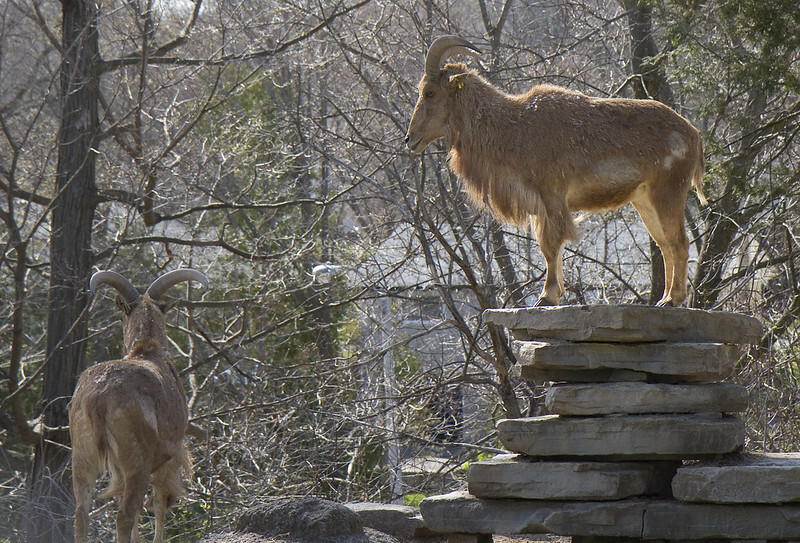 Handsome creatures - these Barbary sheep. But those horns look rather sharp. A worthy man is still worthy even penniless. A donkey is a donkey even if he is finely saddled. 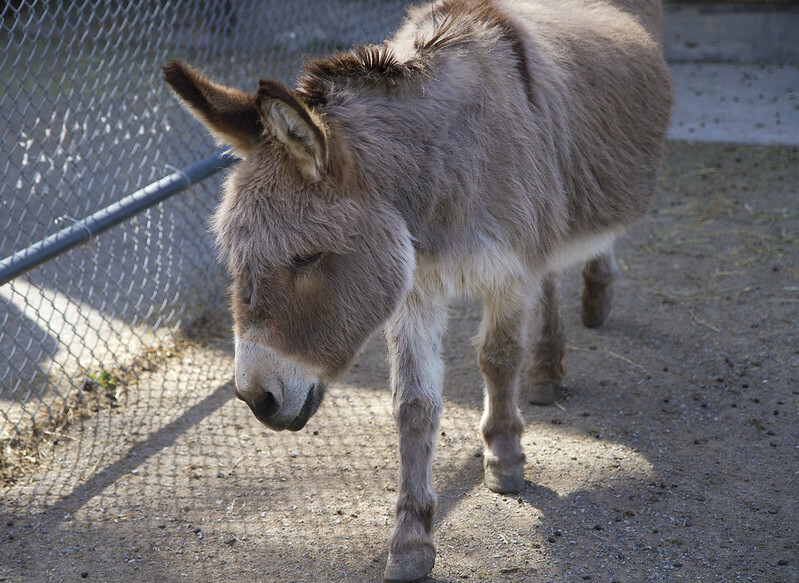 This little Sicilian donkey was both shy and curious. 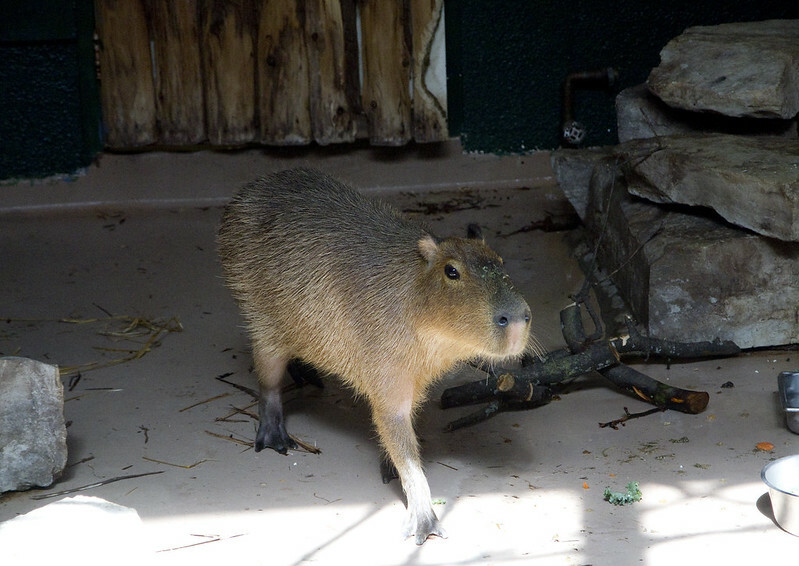 This is a Capybara. You wouldn't think that the world's largest rodent would be such a sweet-looking animal. 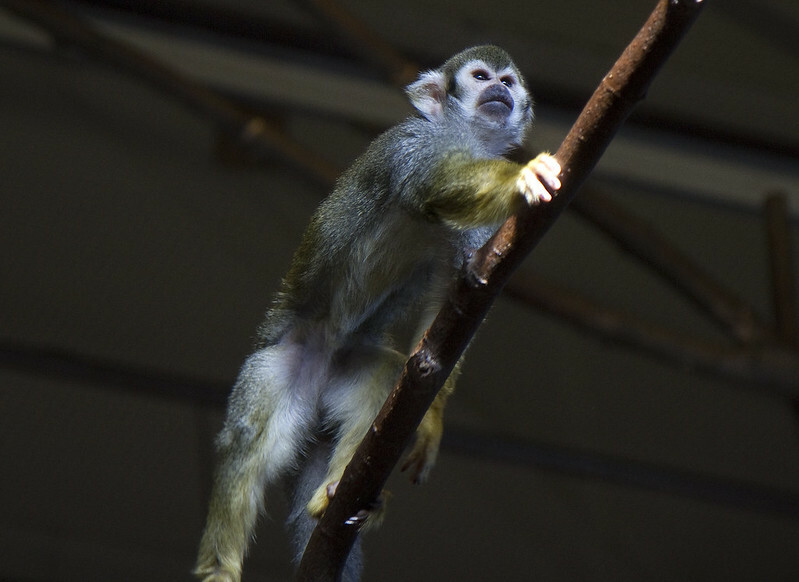 The Squirrel monkeys were numerous and amusing. Santa knows Physics: Of all colors, Red Light penetrates fog best. That's why Benny the Blue-nosed reindeer never got the gig. 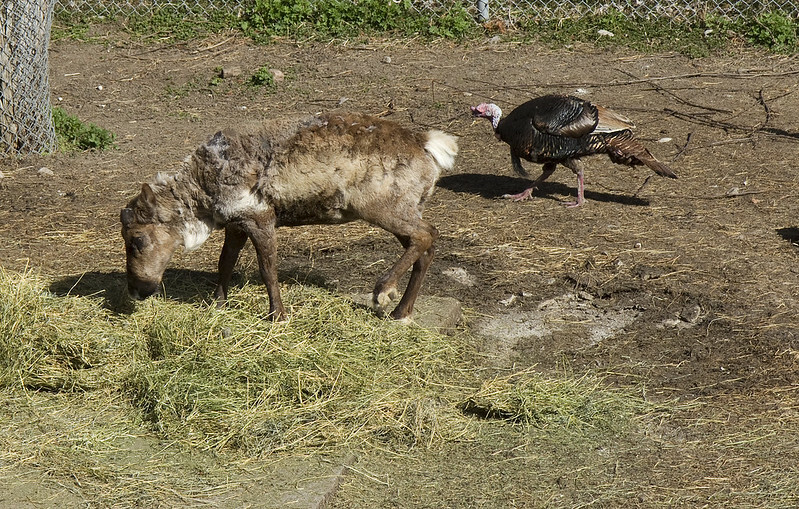 Being followed by a turkey, the caribou/reindeer was not looking its noble best as it was deep into moulting season. 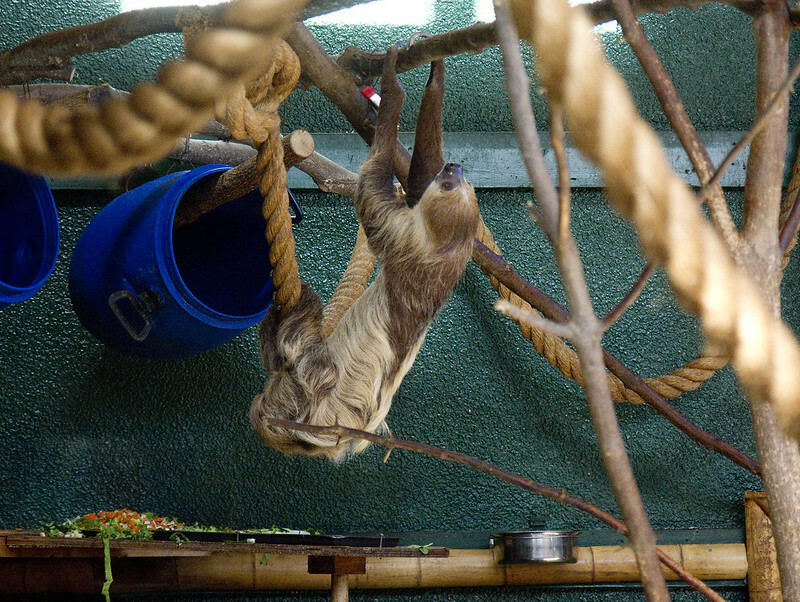 Sloth Fact: These sluggish tree-dwellers move so slowly that algae can grow on their coats. 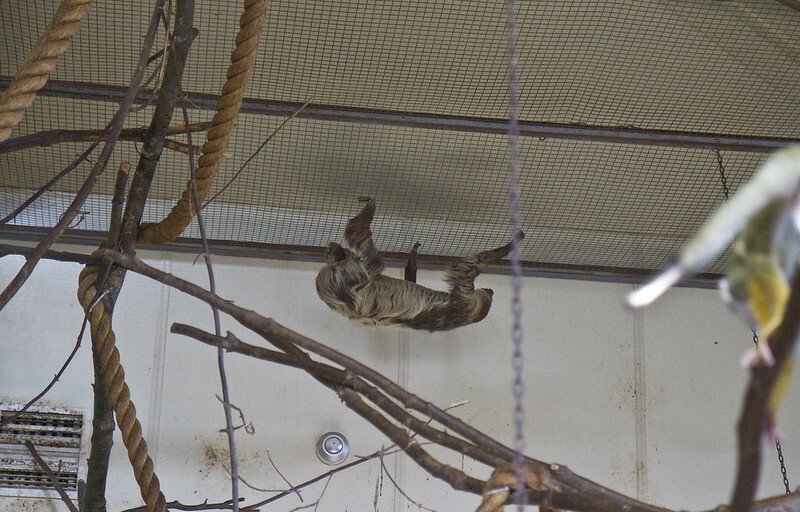 The sloth has to be one of the strangest, cutest and slowest mammals on the face of the planet. A small mob of kangaroos, a fair distance from my camera's lens. 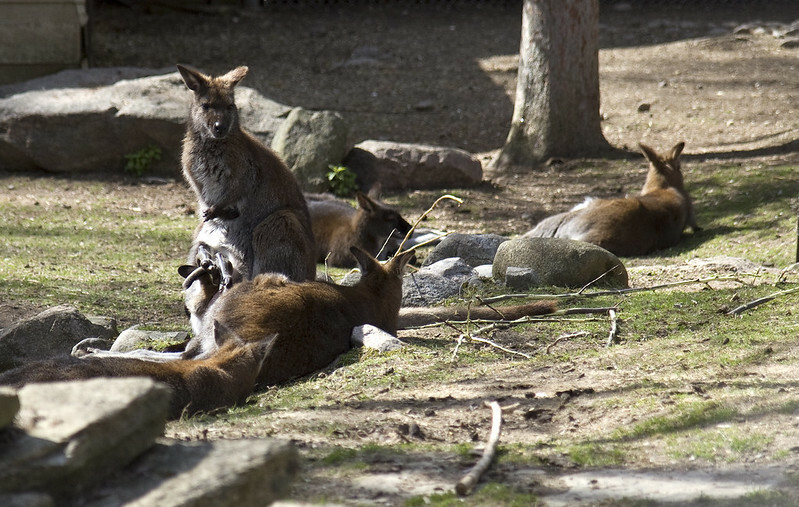 The upright one has a tangled mess of joey limbs in her pouch. 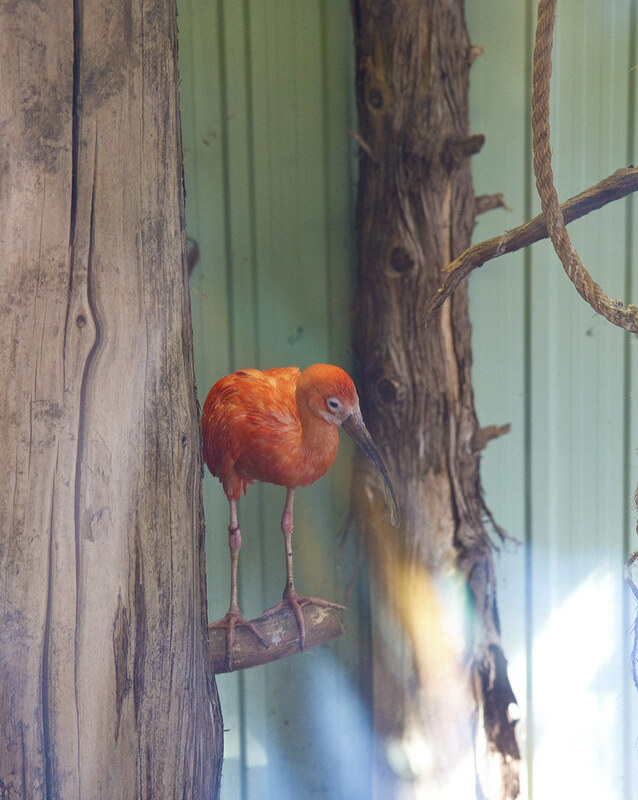 This eye-catching creature is the Scarlet Ibis. Its colour comes from pigment in the crustaceans it eats. 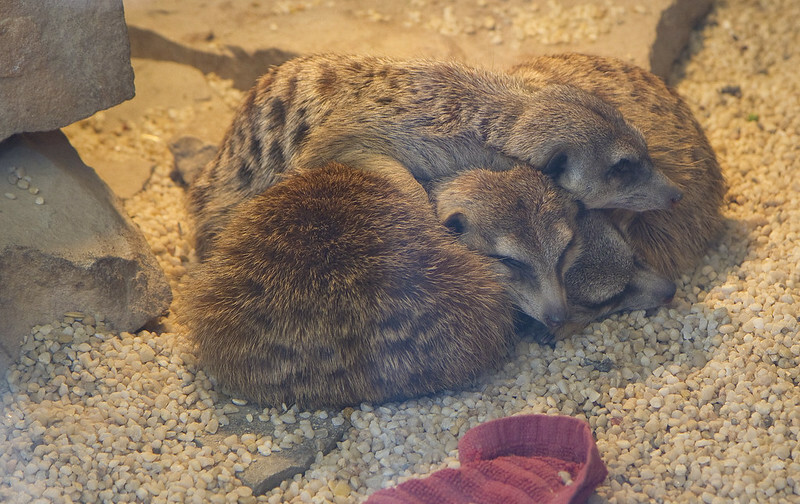 A litter of adorable meerkat pups - too sleepy to be in their classic upright position. 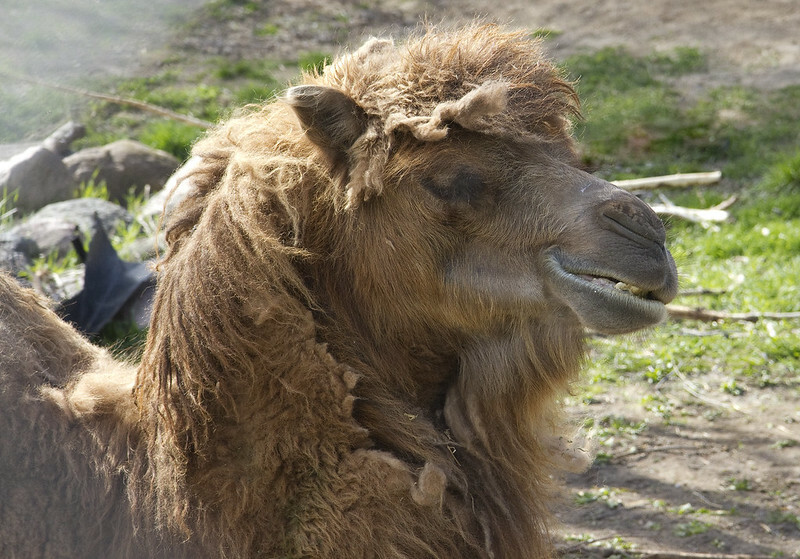 This lovely lady is a Bactrian camel. On horseback you feel as if you're moving in time to classical music; a camel seems to progress to the beat of a drum played by a drunk. Though I suspect her smile will fade somewhat when she sees what a boorish slob he has become. More photos from around town coming up before too long. 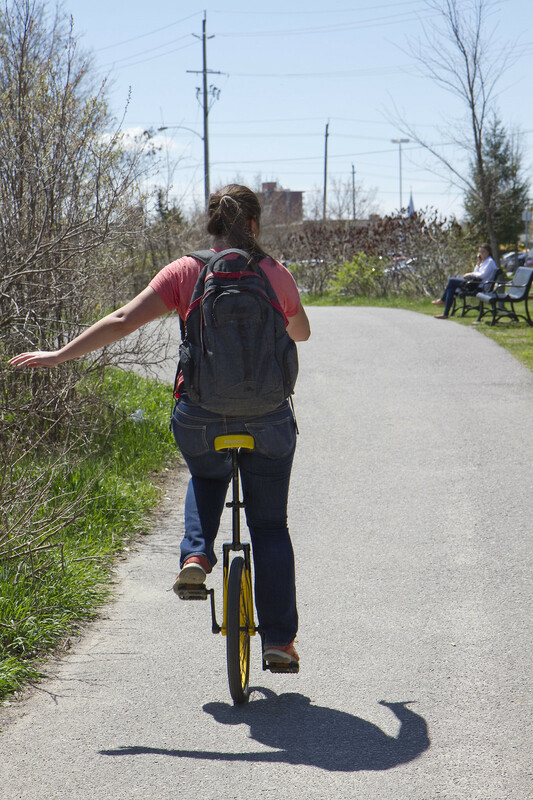 I had already been out for a stroll on Friday. I'd seen and photographed a number of eye-catchers which will appear in future blog posts. As the day wore on, I felt restless and very much in the mood for another walk so I headed back toward the park with camera in tow. 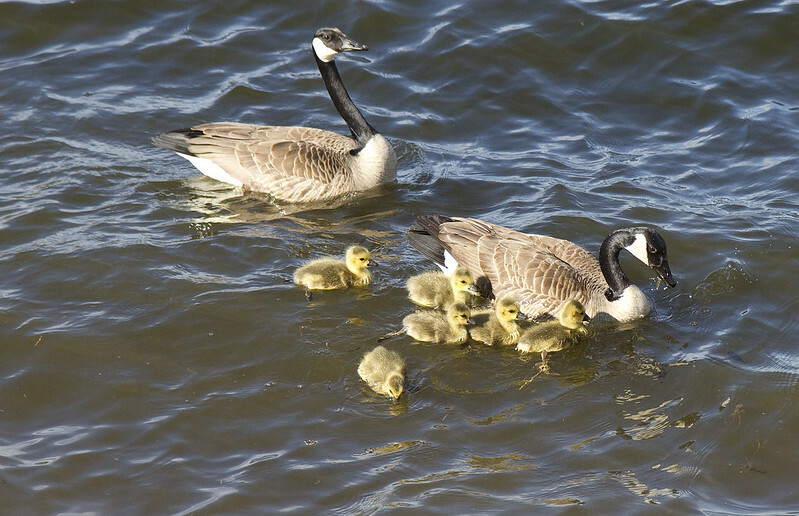 As I approached the water, I saw a pair of Canada geese with a jumbled bunch of fluff in between them, navigating the modest waves of Little Lake. 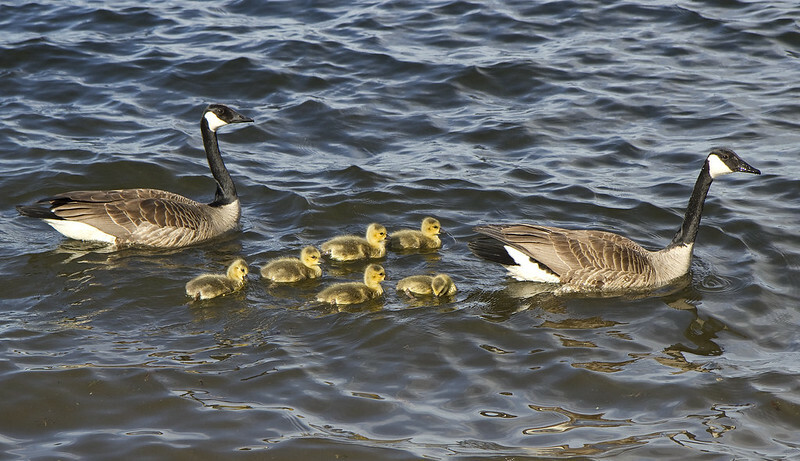 Introducing Father and Mother Goose and their six little Goosebumps. They began to swim the short distance to shore, a little beyond where I was standing. 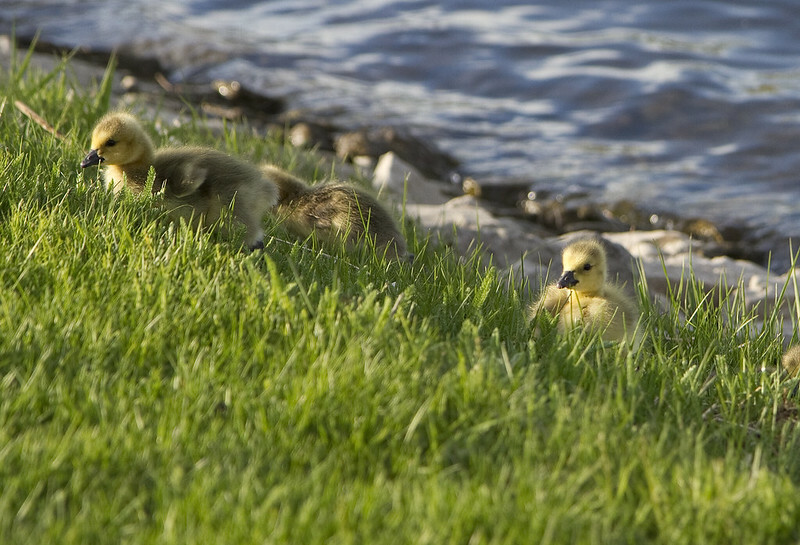 I moved a bit further along than that and sat quietly while they made their way up onto the grass. 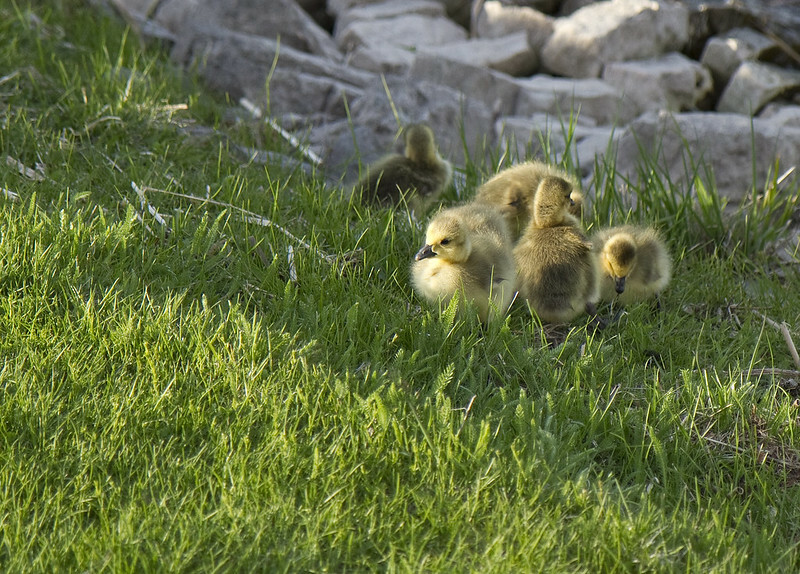 The little ones pecked around while the parents stood sentry. Satisfied with their snack, four of the six wee ones settled down into a downy cushion of contentment. 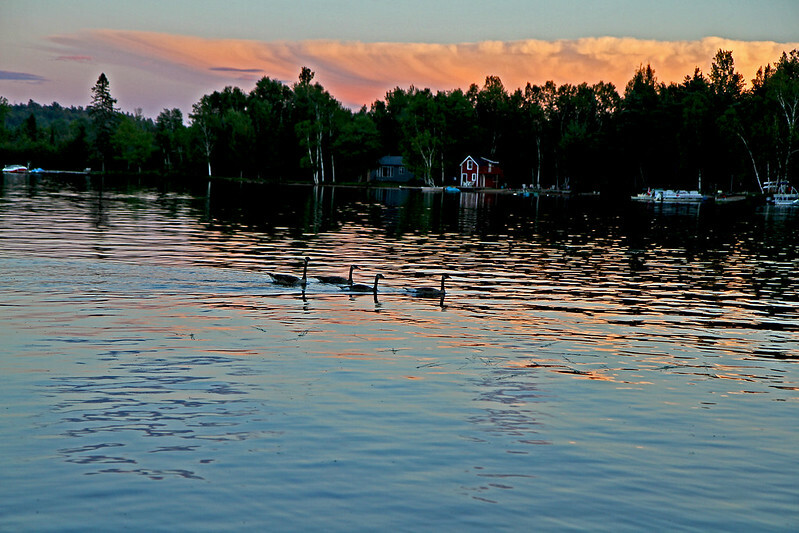 Last summer, I was still living up north on the lake. 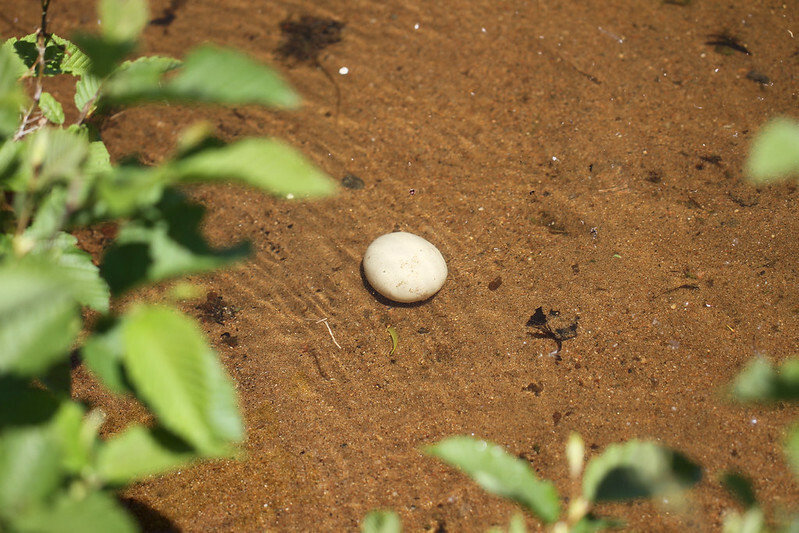 A lone goose egg sat abandoned on the shore. 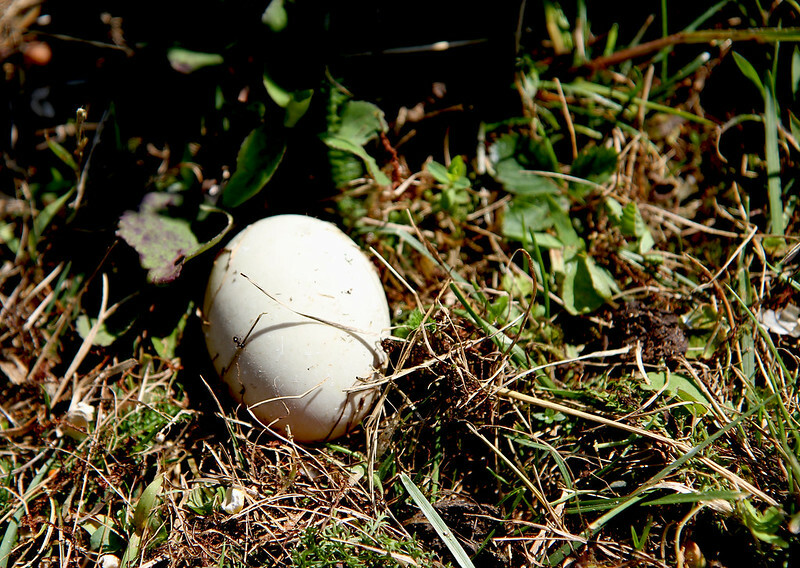 No geese stayed back to attend to it in any way, and after a day or so, it became obvious that the egg was not viable. I had assumed that some animal (raccoon or squirrels, if nothing else) would devour it in no time but that never happened. A short while later, I spotted it in the water where it stayed for several weeks. 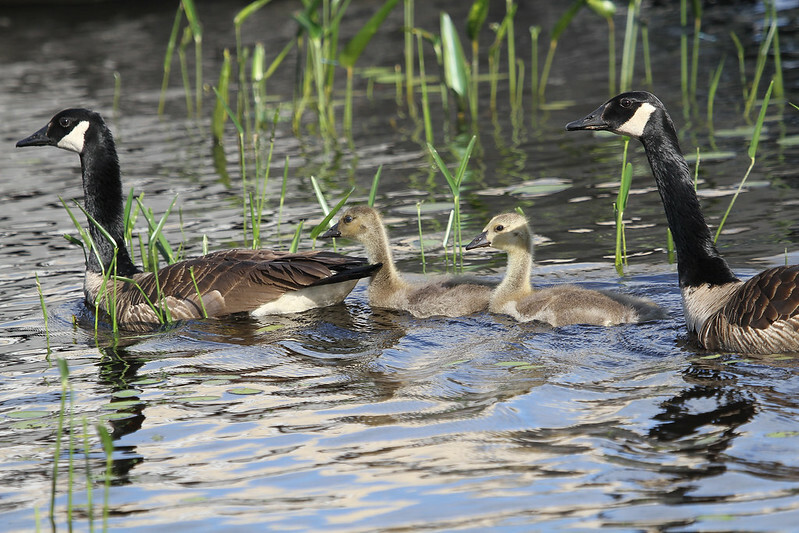 This maturing family wandered by on the same day - a small number indeed. I suppose surviving the surrounding wildlife is not easy for these guys. 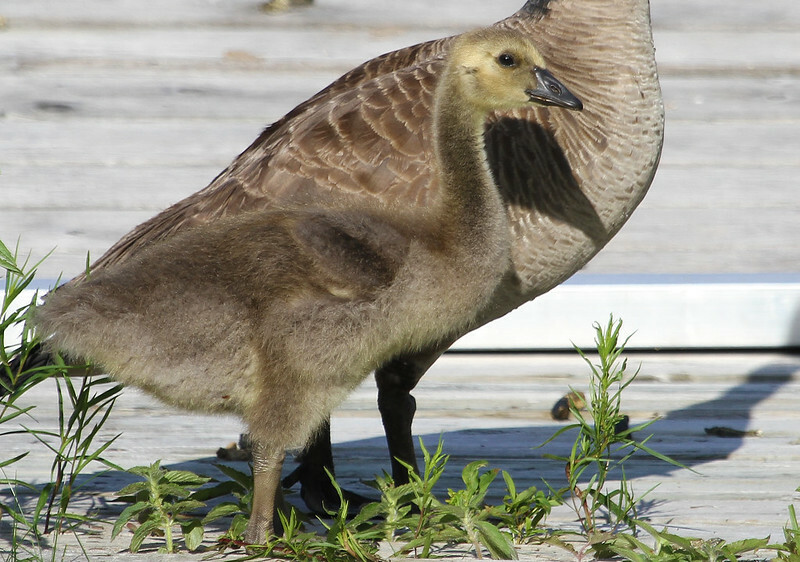 Their adult markings are just beginning to show as they grow into that awkward yet still lovely adolescent stage. This one has learned the skill of staying safe by camouflaging itself beside mama. 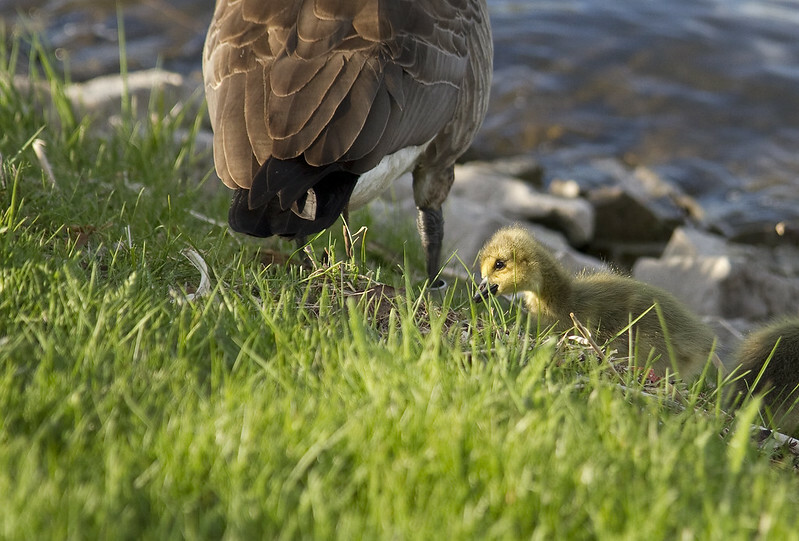 It's a gift and honour to see new life and to be allowed the privilege of watching them grow.